Preorder only - May take up to 48 hours before we can ship. Mexican pepperleaf (aka hoja santa, Piper Auritum) is a Mexican herb/leaf vegetable that is a relative of black pepper. 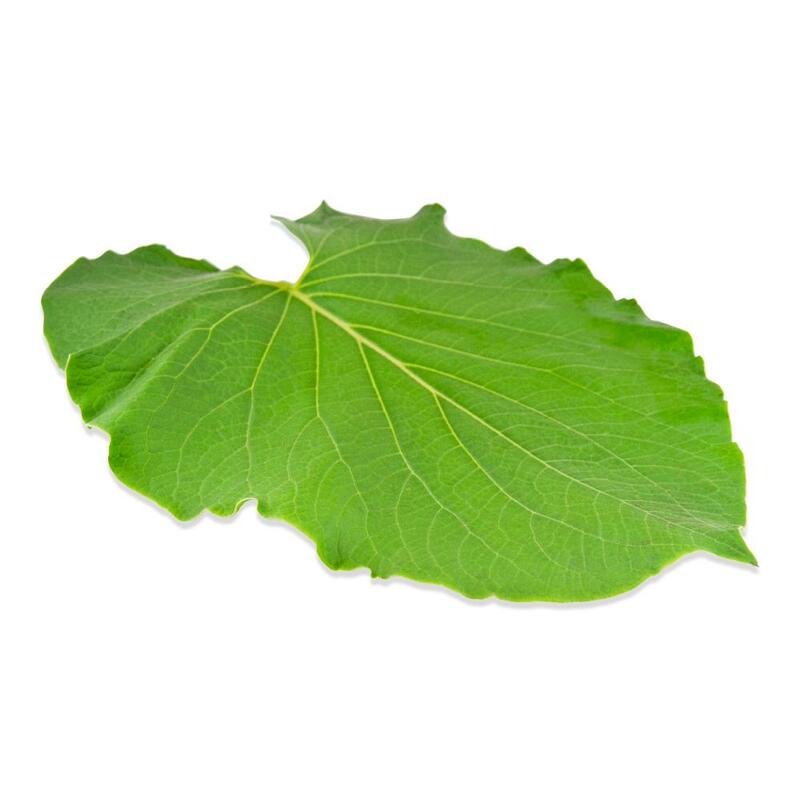 Its large, velvety, heart-shaped leaves are often used to wrap food before cooking. It is also chopped or pureed for use in sauces and other recipes. Pepperleaf’s flavor is subtle and hard to describe –its aromatic flavor is similar to sassafras/root beer with notes of tarragon, anise, black pepper, basil or nutmeg (depending on who you ask). 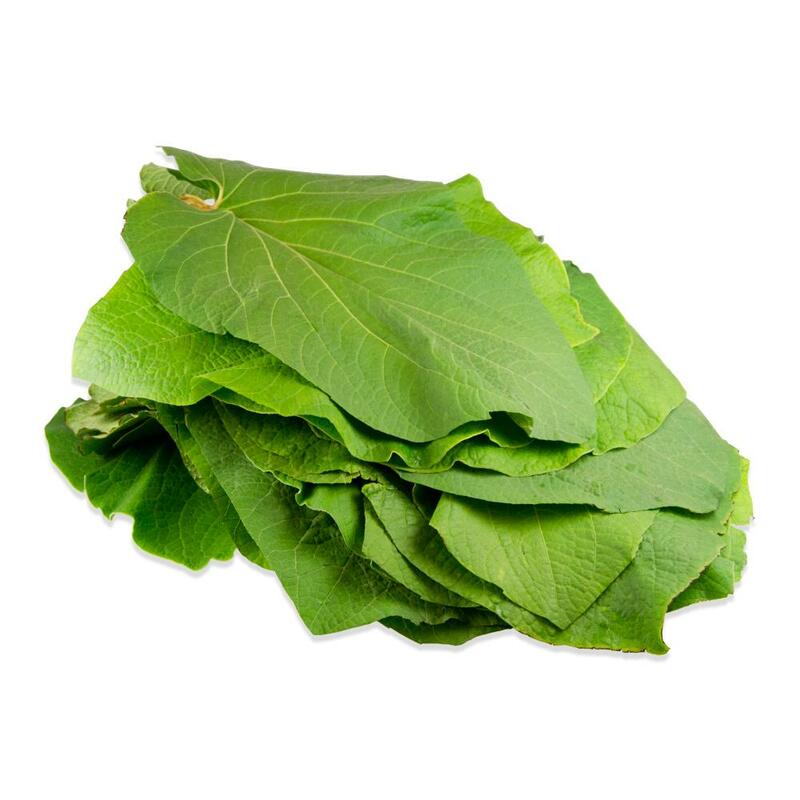 The leaves are very large - as a rough estimate expect to recieve about 30-35 per pound. This plant goes by many different names (and spellings of those names). It is also known as yerba santa, hierba santa, eared pepper, acuyo, anisillo, momo, root beer plant and sacred pepper. Store Mexican pepperleaf in your refrigerator. It can be dried (though it will become less flavorful) or frozen for long term storage. 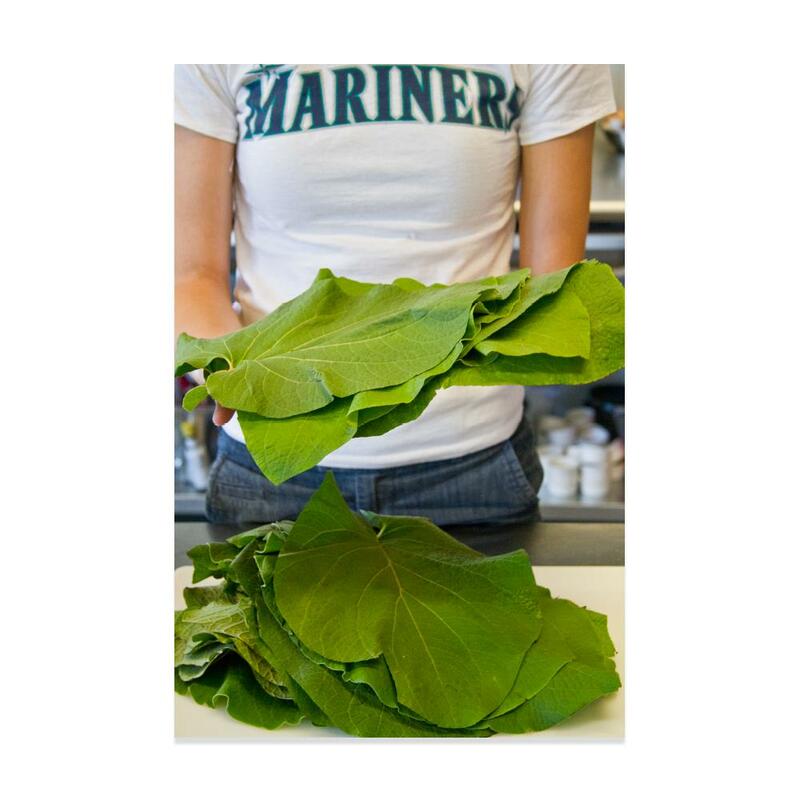 Use pepperleaf leaves to wrap food (especially seafood, tamales, beef, or chicken) before steaming, baking, grilling, or braising in order to protect it from the heat and impart additional aroma and flavor. A classic application using this technique is Veracruz’s pescado en hoja santa - fish baked in hoja santa leaves. If your leaves are too stiff to wrap easily, try cutting our their center rib and/or briefly dipping them in hot water for 1-2 minutes to make them soft enough to wrap things in. Chopped or pureed pepperleaf is also used in sauces (one of the most famous is Oaxacan mole verde) soups and stews. Pepperleaf leaves are also sometimes used to flavor chocolate drinks in central Mexico. Some people wrap cheeses in pepperleaf for a few days to infuse them with subtle flavor. Try pairing pepperleaf with seafood, tomatoes, chilies, shrimp/prawns, chicken, eggs, Mexican cheeses, beef, chocolate, nutmeg, and/or pumpkin seeds/pepitas.